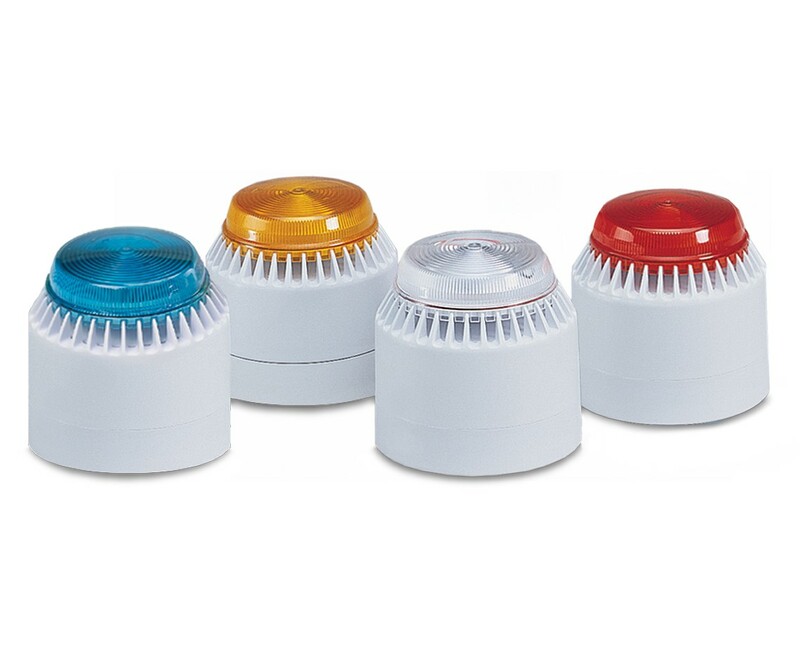 LP7 sounder/strobe combines the features of a mini sounder with a fully integrated xenon strobe circuit. Operating voltage ranges from 18-28VDC with an average of only 68 mA current consumption. The LP7 has two switchable tone patterns: “Sweeping” and “Continuous”. The LP7 has a range of 82-100 dBa @ 10' (92-110 dBa @ 1m), dependent upon tone selected. Volume control is set by dip switch, which allows for 20 dBa of adjustment. The LP7 features a bright xenon strobe that produces 0.7 Joules of flash energy with a flash frequency of 60 flashes per minute. The beacon will operate jointly with any tone selected. Model LP7 sounder/strobe is PLC compatible. It is ideal for wall or panel mount applications where low voltage is required.